Right on schedule, the Chromium developers have released version 61 of the Chrome browser for Android as well as Mac, Windows and Linux. On the surface, the updates appear minimal for both the mobile and desktop browsers. For Android, the Chrome release blog has highlighted these additions. If the features in the Beta version of Chrome 61 have moved to stable we will likely see more of the Web Share API that gives users native share options from available Android apps. For desktop, one of the bigger features being implemented in the latest update is the WebUSB API. I’ll let the Chromium guys explain this one. Chrome now supports the WebUSB API, allowing web apps to communicate with peripherals given a user’s consent. This enables all the functionality provided by these devices, while still preserving the security guarantees of the web. The WebUSB API will essentially negate the need to download drivers and software on a system level by allowing web apps to access peripherals directly with user consent. 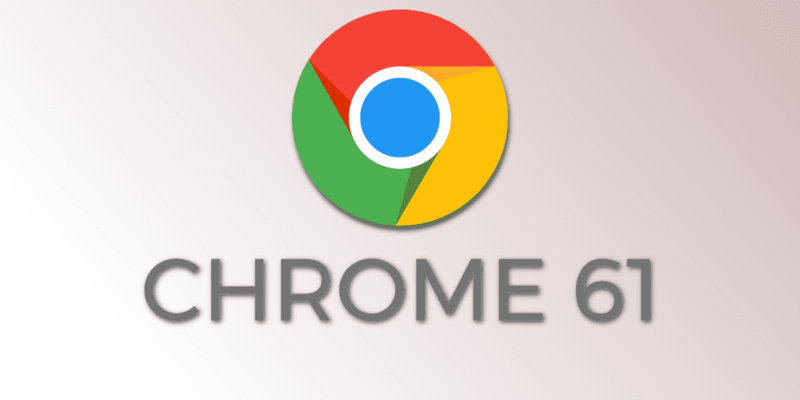 The change log for Chrome 61 is a relatively large one and contains many Chrome OS references that will be laying the groundwork for the upcoming release of Chrome OS 61 in the next week or two. I will be digging into the changes and passing along what I found over the next couple of days.